CresHENdo A Capella’s Fall 2017 photoshoot. Photograph taken by Kristina Demou. 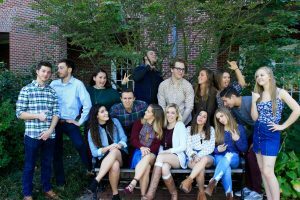 This week on The Music Room, we visited UD’s a capella group CresHENdo to learn more about the quirky group and talk about their upcoming fall semester concert. We talked with senior and president Leah Blachman, junior and music director John Quigley, and senior Brian Rubin about what they love about the group. CresHENdo is a co-ed a capella group made up of 16 talented UD students. The group mainly sings music from popular artists, with a good throwback song every now and then. Get ready to watch Mario, Princess Peach, Yoshi, and your other favorite Nintendo characters at CresHENdo’s fall concert, NinHENdo, on Friday, December 8, 2017. The concert starts at 7pm in Pearson Hall. Tickets are $3 for UD students, and $5 for non-UD students. CresHENdo A Capella, recorded on November 30 2017, aired on December 5, 2017. Due to copyright restrictions, abbreviated versions of each songs are in the podcast version. Days after releasing their self-titled debut album, Alex Sallade and Alek Mansouri of Harmonia Brass Quintet stopped by The Music Room to speak with Liz Webb about their music, songwriting, and recording experience. 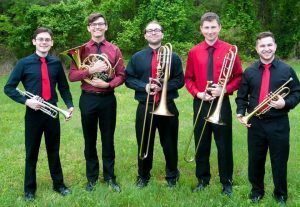 Formed in 2016, Harmonia Brass Quintet is comprised of UD students and alumni Alex Sallade (french horn), Alek Mansouri (bass trombone), Cory Nunn (trumpet), Thomas Warnock (trombone), and Matthew Hubner (trumpet). Drawing inspiration from film, T.V., and video games, Harmonia delivers a new and unique approach to traditional brass quintet repertoire. The group’s album, recorded at Ken-Del Studios in Wilmington, features both original compositions and arrangements of well-known songs. 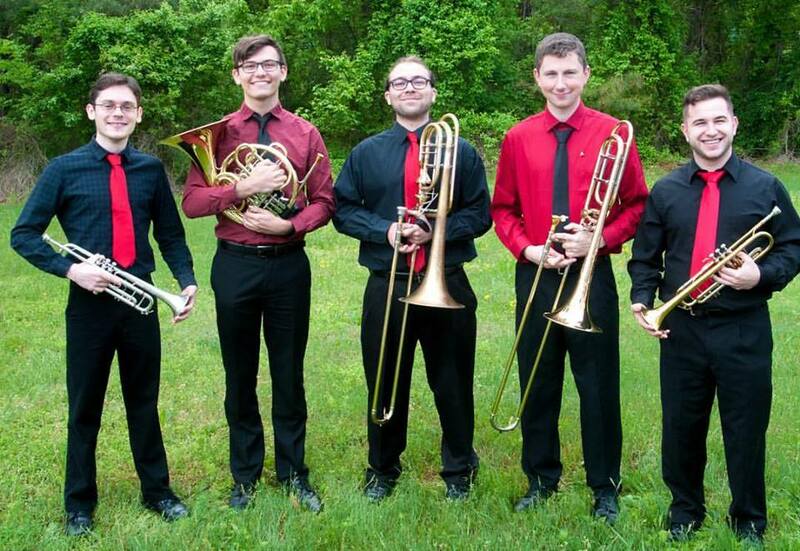 With appearances at the Calvary-Hillcrest Episcopal Church in Wilmington and UD’s 8-Bit Orchestra concert, Harmonia Brass Quintet have shared their creative and enjoyable music across the Delaware community. From left to right: Cory Nunn, Alex Sallade, Alek Mansouri, Thomas Warnock, Matthew Hubner. 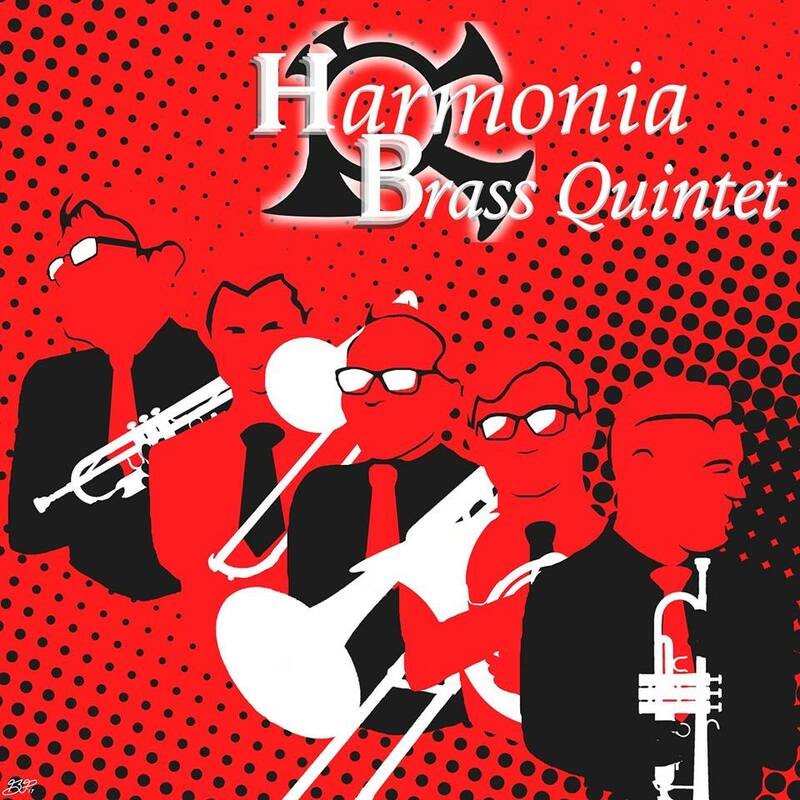 Check out the interview below to learn more about Harmonia Brass Quintet and to hear selections from their debut album. Harmonia Brass Quintet, Host: Liz Webb, Recorded live May 23, 2017. Due to copyright restrictions, the podcast contains excerpts of some of the music heard during the broadcast of the interview. Aside from the album, Rebecca also briefly discussed her time on NBC’s first season of The Voice. During the blind audition, her cover of “Come As You Are” landed her a spot on Adam Levine’s team. Although Rebecca did not win, her audition song remained one of the top-selling singles of that season and gained iTunes popularity worldwide. Rebecca Loebe hosted by Mandorichard. Recorded live on March 7th, 2017. Rebecca Loebe is a Texas native singer and songwriter. Her music contains elements of pop, country, and swing. Rebecca graduated high school at the age of 16, and became the second youngest person in her class at Berklee College of Music. She graduated with a degree in audio engineering, but her passion was always performing. 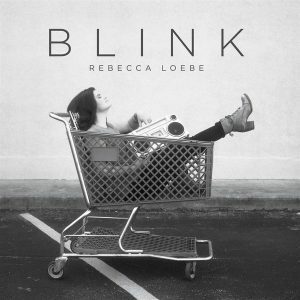 By only using five different instruments on her new album “Blink,” Rebecca wanted to see “what different pictures she could paint with the same five colors.” “Blink” was released on Feb. 3rd, 2017.